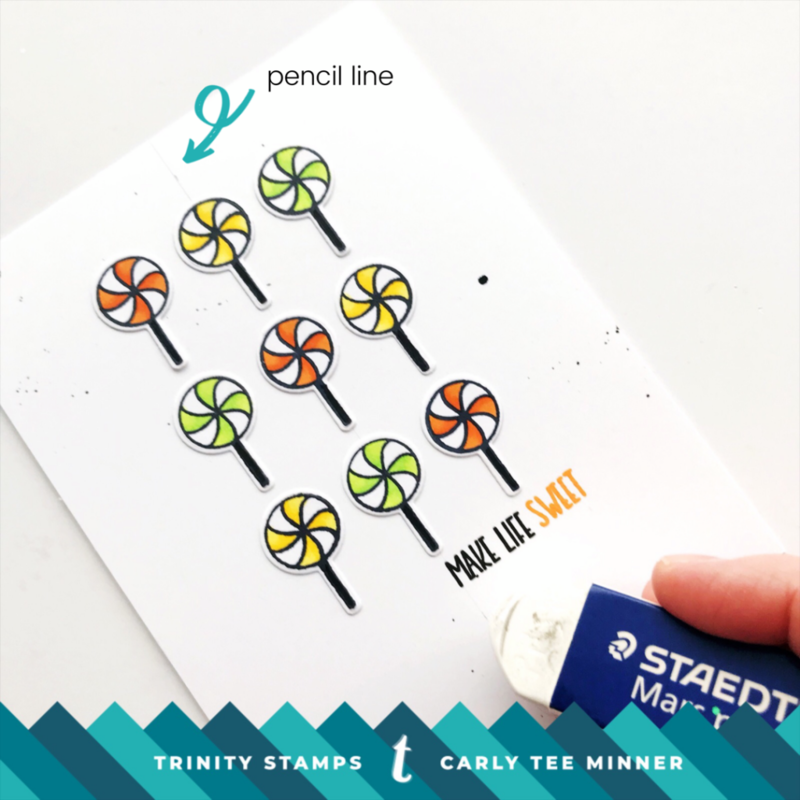 One of my favorite ways to use my small stamps is to stamp them repeatedly and create a simple line or grid! 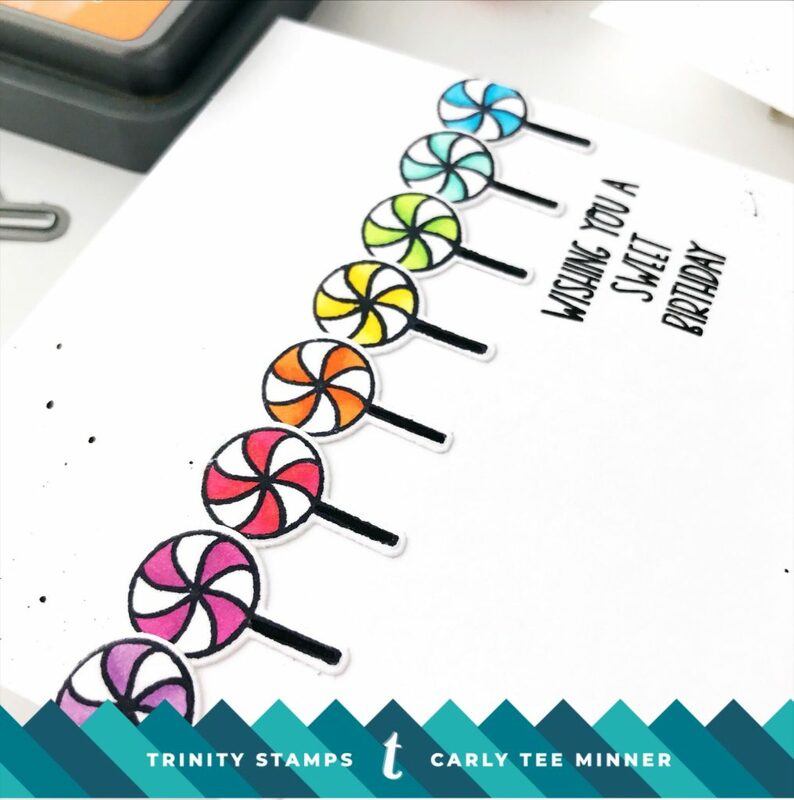 For these cards I stamped a bunch of lollipops from the Seasonal Sweetheart set and cut them out. 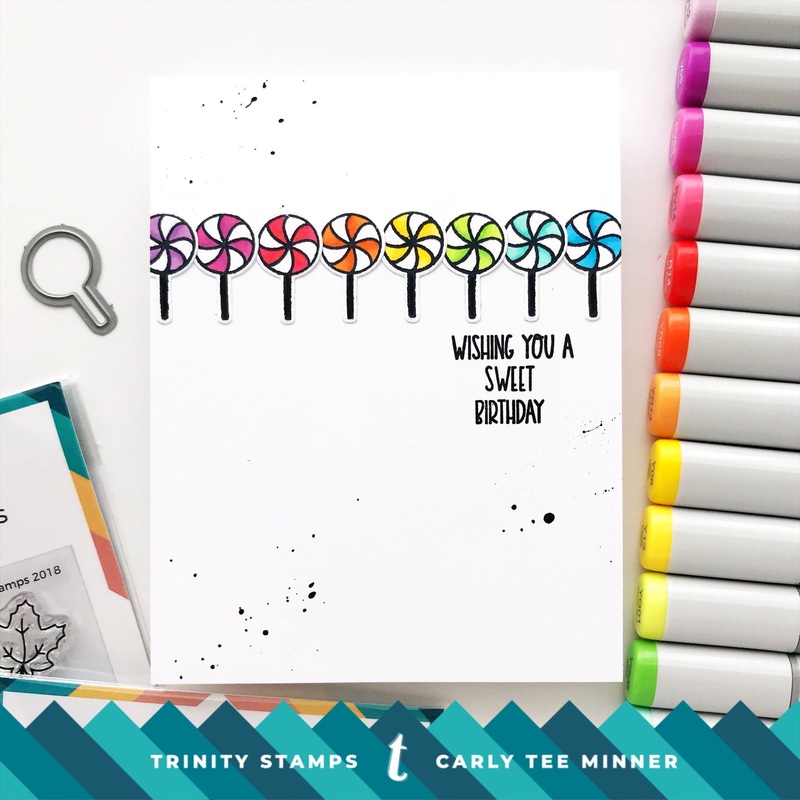 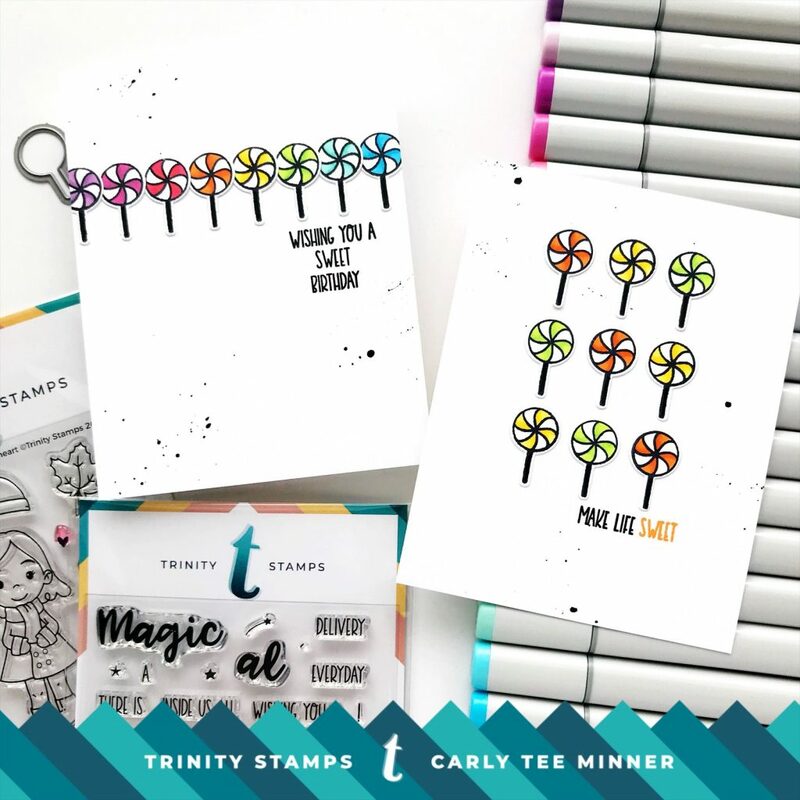 Then to add them to my card fronts, I drew a light pencil line to help me adhere them in a straight line – one across the front for a line of rainbow lollipops and one straight down the middle to arrange a 3×3 lollipop grid. 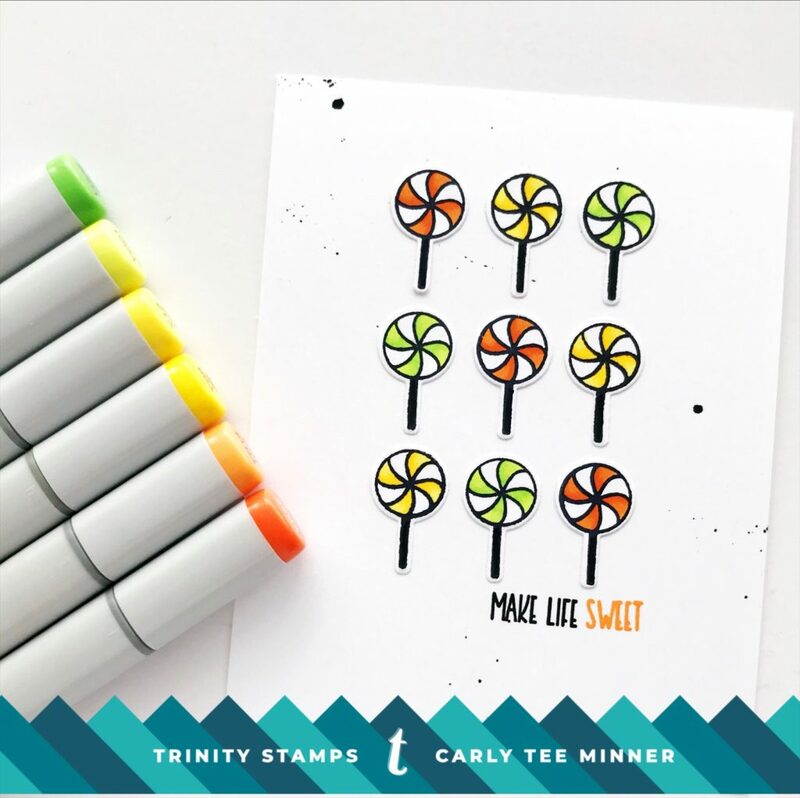 Then I just had to remember to erase my pencils lines because I’ve forgotten before, LOL!